"He's a monster from outer space disguised as a small boy." Spag's cousin, Dreadful Denzil, has arrived. There's nothing Spag can do about it. 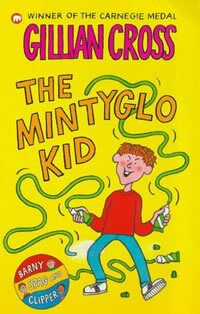 Denzil has come to stay, bringing five years' supply of Mintyglo toothpaste - and lots of ideas about how to use it. How will Spag survive the terrible ordeal? Can anything be done to keep Denzil under control? Spag and his friends Barny and Clipper are at their wits' end.